EBC Brakes have become the largest manufacturers of disc brake pads in the world and are worldwide leaders in motorcycle road and race brakes. They have developed a range of brake pads for every aspect of motorcycle braking for Benelli Motorcycles and Scooters. Benelli 49X (2007) EBC front brake pads (SFA235). Available in :- 'SFA Scooter' Series. Benelli Mala 50 (2013) EBC front brake pads (SFA193). Available in either:- 'SFA Scooter' Series or 'HH Scooter' Sintered Series. Benelli Naked 50 (2002 to 2003) EBC front brake pads (SFA193). Available in either:- 'SFA Scooter' Series or 'HH Scooter' Sintered Series. 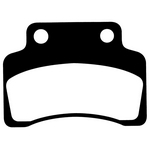 Benelli Pepe 50 (1999 to 2014) EBC front brake pads (SFA193). Available in either:- 'SFA Scooter' Series or 'HH Scooter' Sintered Series. Benelli QuattroNove X (2008 to 2014) EBC front brake pads and rear brake pads (SFA235). Available in :- 'SFA Scooter' Series. 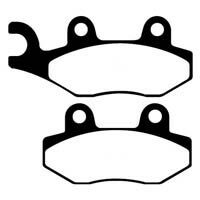 Benelli 491 (50cc) (1998 to 2004) EBC front and rear brake pads (SFA193). Available in either:- 'SFA Scooter' Series or 'HH Scooter' Sintered Series. Benelli K2 50cc / 100cc (1998 to 2001) EBC front brake pads (SFA193). Available in either:- 'SFA Scooter' Series or 'HH Scooter' Sintered Series. Benelli Naked 100 (2002) EBC front brake pads (SFA193). Available in either:- 'SFA Scooter' Series or 'HH Scooter' Sintered Series. Benelli Pepe 100 LX (1999 to 2006) EBC front brake pads (SFA193). Available in either:- 'SFA Scooter' Series or 'HH Scooter' Sintered Series. Benelli Adiva 125 / 150 (2000) EBC front brake pads (SFA193). Available in either:- 'SFA Scooter' Series or 'HH Scooter' Sintered Series. Benelli Adiva 125 / 150 (2001 to 2004) EBC front brake pads (SFA193) and rear brake pads (SFA321). Available in either:- 'SFA Scooter' Series or 'HH Scooter' Sintered Series. 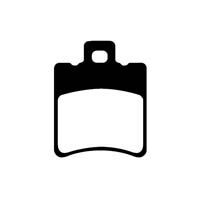 Benelli Caffe Nero 125 / 150 (2011 to 2014) EBC front brake pads and rear brake pads (SFA228). Available in either:- 'SFA Scooter' Series or 'HH Scooter' Sintered Series.